Posted by Kevin Hughes on Monday, June 1st, 2015 at 2:29pm. Did you know that Ernest Hemingway spent his last few years in Ketchum Idaho? Or that Idaho produces almost 50% of the United State’s trout sales? Though many people think that Idaho is all potatoes, football, and forests, there is much more to it than meets the eye. 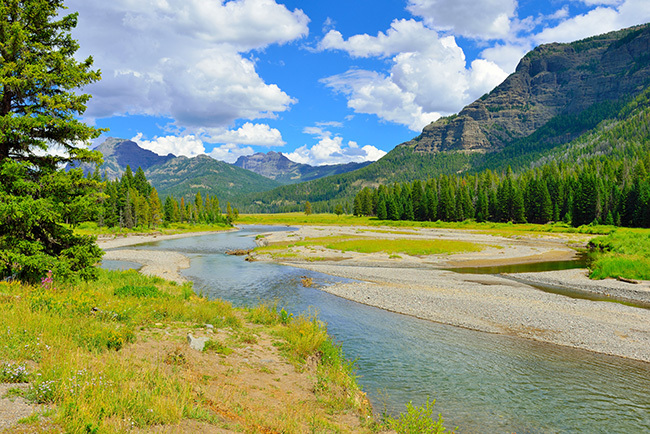 Here are a few facts about Idaho that may surprise you. Firstly, most people think of high alpine mountains or miles of farms when they think about Idaho landscape. These stereotypes are mostly true, Idaho has many miles of mountainous peaks and fertile fields, but that is only part of what makes Idaho great. Would you believe that there are also sand dunes in Idaho? They are not just ordinary sand dunes, but the largest sand dune in North America. 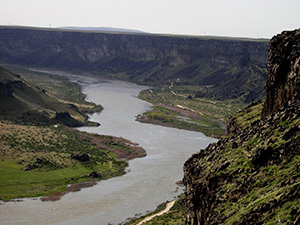 At Bruneau Dunes State Park the highest peak reaches up to 470 ft (approximately). Visitors can enjoy sledding, playing in the sand, or fishing in the lake that rests at the feet of the dunes. Bruneau Dunes State Park is also home to a free observatory. Since the night sky is so clear near the dunes, this observatory offers a crystal clear view of the cosmos. Visitors can take a free tour of the observatory and a quick look through the telescope. The observatory opens one hour before sunset every Friday and Saturday evenings from April to October. It’s a great way add some education into a day playing on the dunes. While enjoying the mountainous sand dunes may be fun, this next fact is one of even more mountainous proportions. In the 1950’s the nuclear energy buzz was heightening and the scientific world was looking for a breakthrough in atomic technology. Research was being undergone in Russia, Great Britain, Germany and, oddly enough, Idaho to understand and master the power of nuclear energy. But it wasn’t until July of 1955 that a whole town was lit by a nuclear power plant. Soon, Idaho wasn’t just famous for potatoes and natural resources, it was the stepping stone for the evolution of nuclear energy. The Argonne National Laboratory, the lab near Arco Idaho, had been the first in history to utilize the power of the atom. Argonne Laboratory lit the small town Arco and the way for future nuclear plants. Since then Russia, the US, and Great Britain have run with the project and created power plants larger and stronger than the one at Arco. Arco isn’t the only interesting thing about Idaho when it comes to energy. Idaho is also very well known for it’s large reserve of geothermal energy. Much like the geysers in Yellowstone, Idaho’s underground water boils and bubbles at super high temperatures. This hot water is pumped up and used to heat many buildings in Idaho. The Capitol Building in Boise, for instance, is heated with water that is 3,000 ft below the surface. Idaho is also famous in the history of the skiing industry. This is because the Sun Valley Ski Resort was the first ski resort to have chairlifts as well as the first place in the US where heli skiing was tried. Sun Valley is still a popular resort and is visited by thousands of people each year. Many celebrities even have vacation homes there. What about where Idaho got its name? Have you ever thought about the word ‘Idaho’? Many people have wondered about the origins of the word and have come away with a story they weren’t expecting. In the 1860’s, when Idaho was being considered for statehood, a lobbyist named George M. Willing petitioned to call the new state Idaho, a word, he said, that came from the Native American Shoshone tribe language. WIlling explained that it meant something like “gem of the mountains”. The U.S. Congress liked the name and dubbed the new state Idaho. It was later discovered however that Willing had made up the word and that it had no ancient meaning or significance. Evel Knievel also made a famous appearance in Idaho. The daredevil made his infamous 1974 Snake River Canyon jump near Shoshone Falls (just outside of Twin Falls, 130 miles from Boise). The event brought hundreds of people to Idaho, and even more tuning in on television, to watch the famous failed jump. The site is still known as the jump site and brings many people to the canyon each year. Though Idaho may not seem like an accomplished state, it has a vibrant past. Its history is brimming with the intriguing and unexpected and they are all a part of what makes Idaho so great. Many people glance over Idaho, not knowing of it’s wonders or rich heritage. So, come see what you’ve been missing, in Idaho.